The VO-1 Vocoder pedal features BOSS’ guitar synth technology. Driven by BOSS’ famous guitar synth technology, the VO-1 Vocoder puts the vast expressiveness of the human voice in the hands of guitarists, bassists, and other instrumentalists. By vocalizing into a connected microphone as you play, you can “sing” with your instrument and create classic electronic synth voices, talk box sounds, and all sorts of cool new tones. The pedal can also be used without a mic, enabling you to access rich voice-like textures with a direct instrument input. Waza Craft VB-2W Vibrato pedal. Breaking news: another BOSS classic has been reincarnated in modern form! Based on the prized VB-2 Vibrato pedal from the 1980s, the new Waza Craft VB-2W Vibrato uses 100-percent analog circuitry to perfectly recreate the original’s true pitch-shifted vibrato effects. Going beyond a simple reissue, the VB-2W also features a new Custom sound mode and real-time control functionality, extending the pedal’s capabilities for today’s players. Unique and expressive, the VB-2W Vibrato is a welcome addition to any pedalboard, and a no-brainer for devotees of the original VB-2. The BOSS Loop Station family. I’m a Senior Academic Advisor for Berklee Online, and I’ve been playing guitar for 25 years. My influences include everybody from Joe Pass and Wayne Krantz to Derek Trucks and Paul McCartney. In addition to teaching, I gig constantly—with my band, in a duo with a drummer, and as a solo acoustic act. In all scenarios, my trusty BOSS Loop Stations get a lot of heavy use! In this post, I’d like to discuss my thoughts on looping and how it can be a guitarist’s best friend. 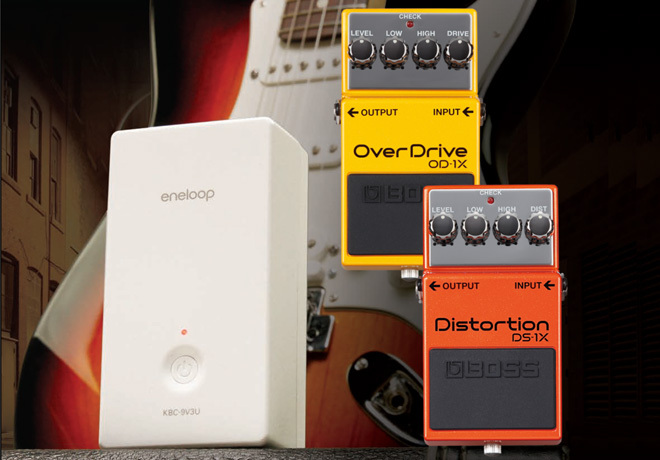 Tap Into a World of Amazing Sounds—No Special Pickup Needed! The introduction of the revolutionary SY-300 Guitar Synthesizer brings the guitar synth to an all-new level of sound and accessibility. This magical box lets you take advantage of BOSS’ legendary guitar synth technology using the normal pickups on your axe, with no special add-on pickup needed! The SY-300 delivers fat, analog-style polyphonic synth tones with zero latency, opening up an extraordinary world of real-time sound creation for every guitarist. What’s more, you can shape your normal tone with the SY-300’s filters, amps, LFOs, and effects for even more sonic diversity.